This pram was a fabulous product for my baby. It was easy enough to steer, easy to fold and just an all rounder good product. It lasted me very well. This pram is very quick and easy to fold down. It's also very lightweight. Car seat is quite heavy to carry. I have this pram in bright pink for my daughter. I love it as it was so easy to put up, last thing you want to do after having a baby is worrying over pram being put together. Its light weight and great to fold down and put away in the car. The price of this is brilliant as I find my daughter is in the car seat more than the carrycot. It's very easy to swap over from carrycot to car seat. Also if you want to swap and change the colour of the pram and car seat it's easy to take off and swap. 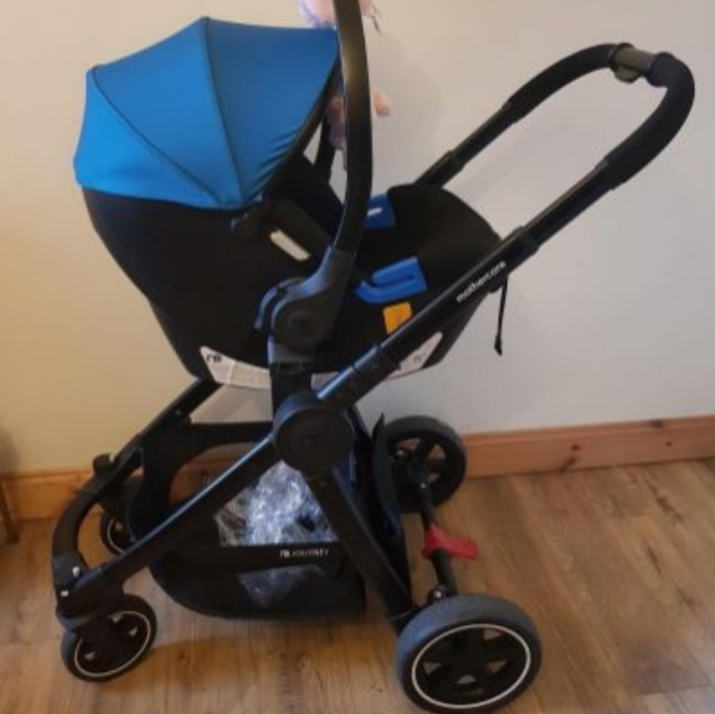 Basically this pram is just very good as it's hard enough juggling everything being a parent dont want a stressful pram too but this pram makes things so much easier. I would highly recommend. The system is so easy to use we chose this for our son as it is attractive looking and an attractive cost. My son loves it. 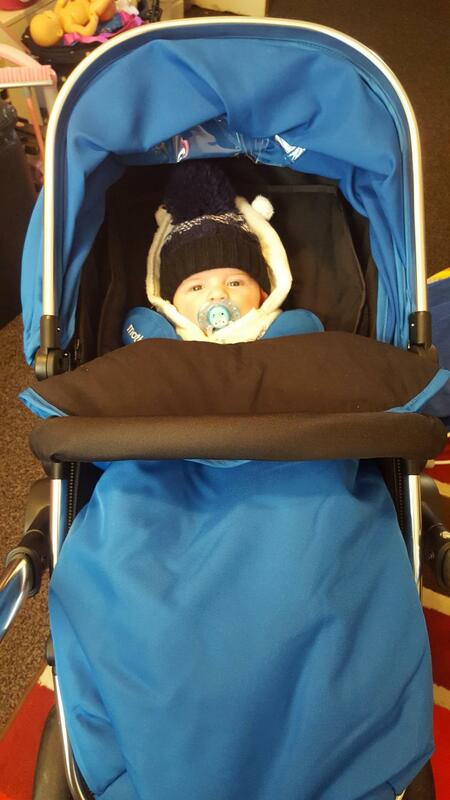 The pushchair adaption grows with him and can be changed to a more upright position with the click of a button. It can be facing you or facing out. The only downside is it is rather heavy, doesn't move well on grass and the rain over is a nightmare to put on. brought this for my baby boy, love the style and how easily it is to put up and down. looks great and great value for money. Only just put son in pushchair mode at 8 months so shows the good size of the pram. had a few issues with the pram hood as it broke but mothercare replaced it no problem. chrom does scratch easily which is a shame. I love my journey so easy to push lots of space for my son to grow i will be able to use it right up untill he is atleast 3 years old. 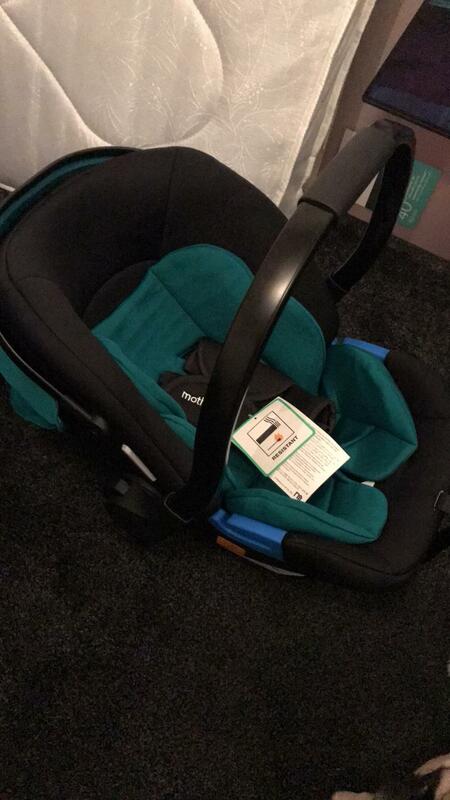 Value for money is the best getting the car seat in with the price saves so much money and it is easy to use fitting it on both pram unit and car. 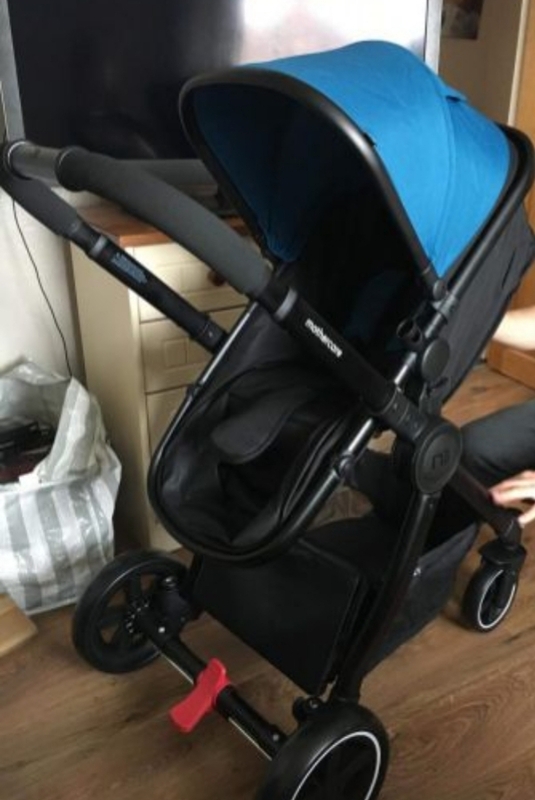 This is a perfect pram, used for my first child, it fits in every boot situation as the wheel pop off with a click of a button and even fits snug in the back. It has very good steering and a bonus is that it’s really light and easy to carry cannot really fault this product a good buy especially on a budget. I was all set to spend £500+ on a travel system but I’m so glad I came across this pram! It’s lightweight, easy to put up/down and easy to use. Mine is grey and I love the colour. You don’t need to pay a fortune , I think this pram looks expensive too! 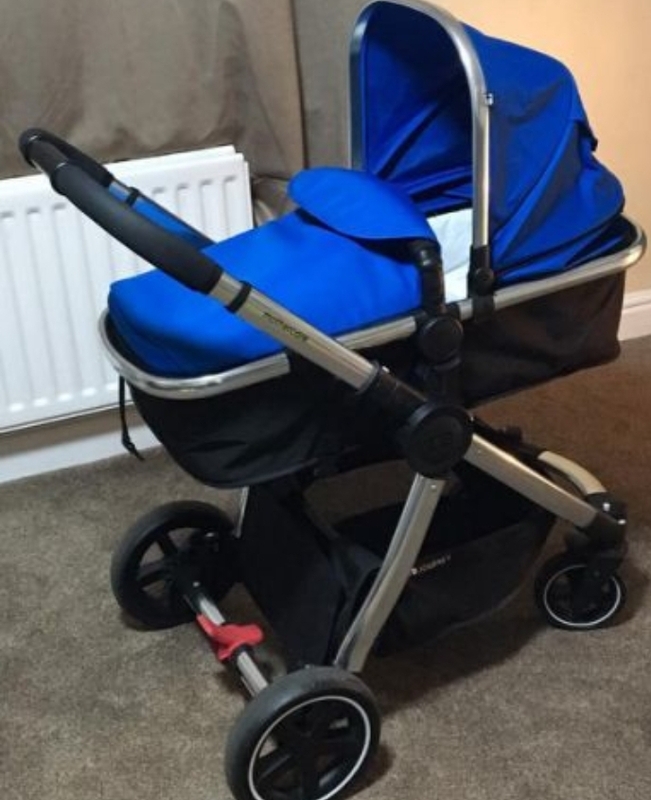 Good sturdy pram multiple purpose easy to keep clean and maintain. It's ok to fold but sometimes struggle to pull the sides down at the same time on my own. Great look pram. Can compete with higher branded prams. Just as good. So lightweight and easy to fold up and down. Not to bulky to get on and off public transport. Easy to clean. A great weight, easy to put up and down and light to push! Doesn’t have an isofix to fit the car seat. Firstly, this pushchair is affordable and worth the money for what I paid which was £299 from Mothercare. I love that it is easy to push the pushchair up and down and is nice and light. It is also very easy to steer which I am very pleased with. My only criticism is that there isn’t an isofix to fit the car seat too as this would make it so much easier to get the car seat in and out the car. Especially since I struggle on my own to try and strap the car seat in with the seat belt. I also wish that the car seat shoulder straps could of somehow been fitted to the seat as I have such an issue with them falling off or not being in place properly on my baby’s shoulders to stop the seat buckles from rubbing. I love this product, easy to use and great value, steering is brilliant and easy to collapse. Very please with this pram overall and the baby loves it. Basket at the bottom is handy and a decent size and it’s easy to switch between the car seat and Moses basket feature, would recommend an extra comforter in Moses basket. I chose this pushchair as we liked the look of it and also heard many good reviews. Our little boy is still in the carrycot part and has plenty of room, it’s comfy, easy to come apart to wash, easy to fold down and fits well in the boot and very lightweight. 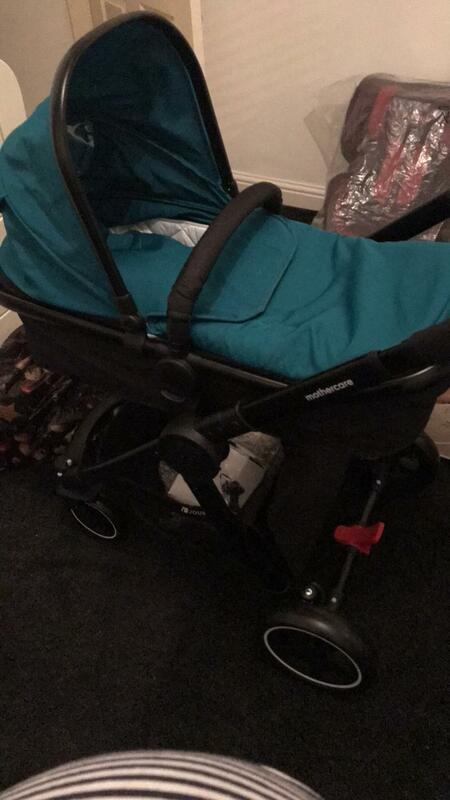 The only thing I am not keen on is the actual pushchair part of the pushchair as I wish the footmuff would clip onto where the carrycot part does and it doesn’t seem to look neat or look right. Overall I think this product is excellent for its price tag, I have been using it for 11 weeks so far. My daughter always looks comfortable and I find it extremely easy to steer. In addition to this it is easy to fold and down and get into the car which is something I was worried about, so far no problems and I can’t recommend it enough. Overall the pram is easy to push and manoeuvre around places but it is quite difficult to fold when you don’t know how to do it. I love this pram and has been brilliant for our son. He is 18months now and it’s still just as great now as when we brought it. I think is a stylish design and very easy to fold away - unexpectedly light too. The steering is super easy and the pram itself isn’t too bulky either so getting around the shops is easy work. This was the best travel system that we've bought. Easy to fold, easy to drive, and very nice available colours! We're planning to keep it for our next baby! I absolutely loved this buggy. I was choosing between this one and a my babiie one and I was won over. Whilst having the best price for this style pram it looked amazing. Well worth the money and I for sure know what buggy I will be using the next time around ! Bought this for my little boy and absoloutely love it. So easy to use and fold and open. I bought sand colour and it is gorgeous. My sister in law bought hers 4 years ago and I bought another product and regreted it and wished I bought this so I knew straight away with this pregnancy that I was going to buy this, Was a no brainer. A really good travel system for great value of money, the car seat is light and the pram is very spacious. I love how you can lift the pram slightly so baby is not laying flat and head is slightly raised. 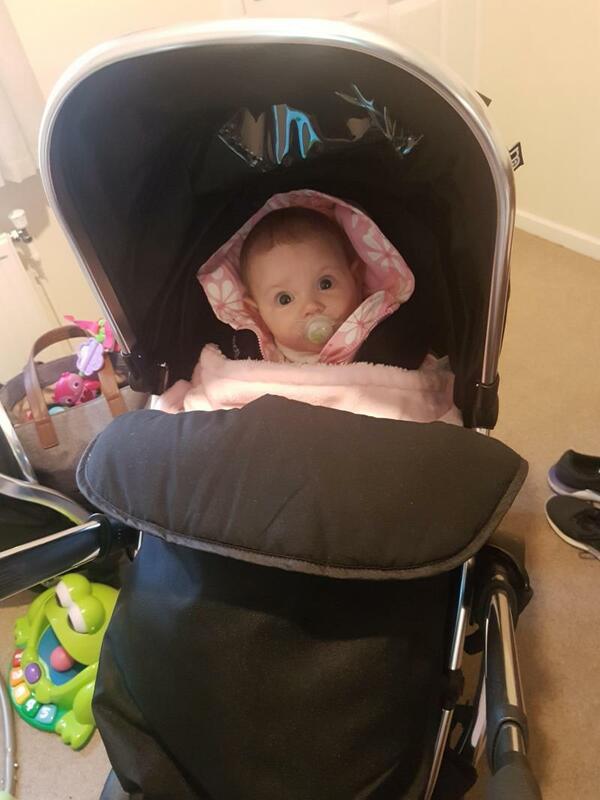 My daughter has only just gone into the pushchair and she loves it as she can look out and see whats going on, you can tilt her back in a lay down position if she is sleeping. The wheels can come off from a push of a button which makes it easy to put in my boot. I would recommend. I love this travel system. 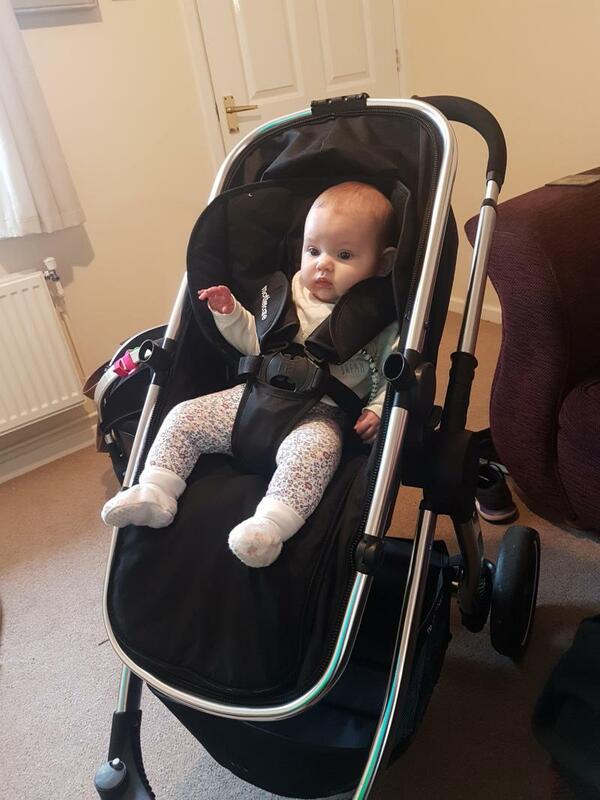 After going store to store and trying out a lot of different options me and my partner fell in love with the Mothercare 4 wheel journey as soon as we tried it out. The pushchair is really nice and smooth to push and has really good suspension (very useful when trying to settle a screaming baby!). The car seat which is included is also of very good quality and little one seems very safe and secure in there. My one and only negative is that the carry cot part doesn't feel as comfy as it could be, we managed to get around this by lining the bottom with a thick blanket. 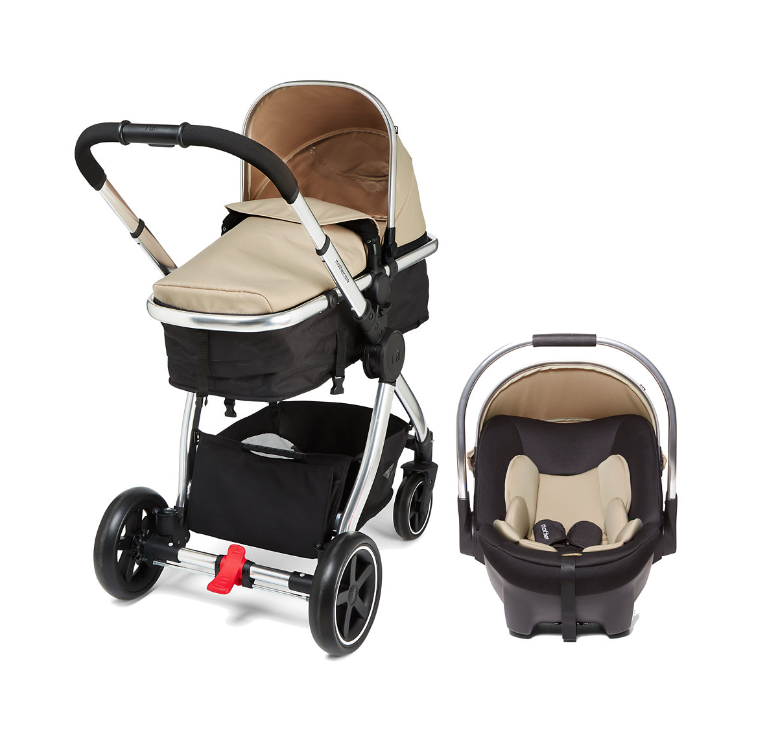 Overall an amazing Travel system for an amazing price! 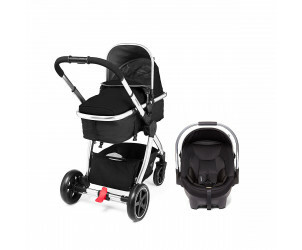 The Mothercare 4-Wheel Journey Travel System includes a Group 0+ car seat and pushchair suitable from birth to 15kg. The 4-wheel pushchair features a convertible pram to pushchair seat unit which can be used from birth- a pram liner and apron are both included to keep your little one cosy and comfy on their first outings. 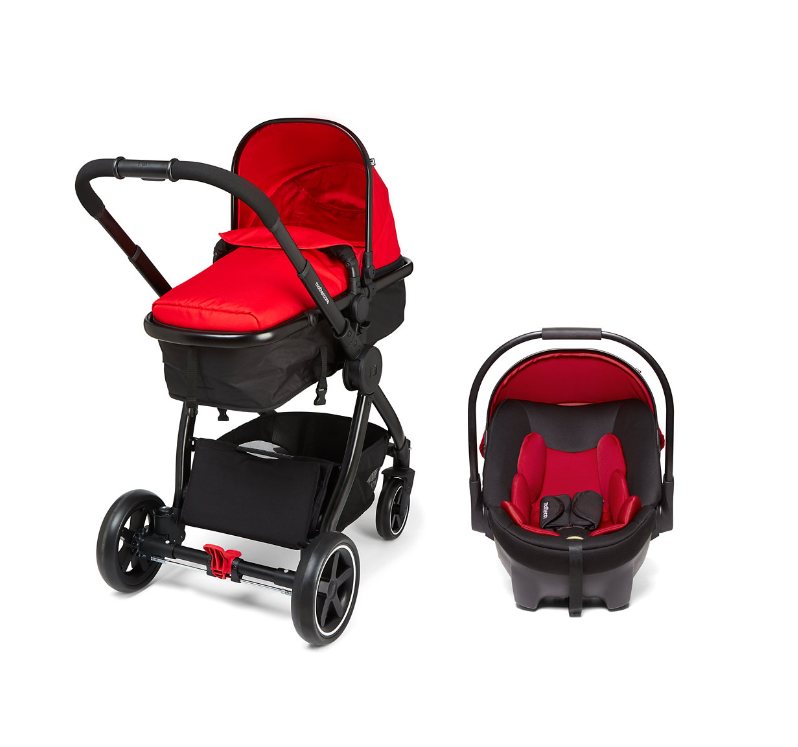 The seat unit with removable bumper bar is both parent and forward facing. A cosy, coordinating footmuff and mothercare weathershield raincover are included with a spacious, detachable shopping basket and convenient magnetic pouch providing good storage. To use the journey as a travel system simply attach the group 0+ car seat which features side impact protection and is suitable from birth. The car seat should always be fitted into your vehicle rearward facing and secured with the seatbelt. For newborns, the included liner and wedge can be used and removed from the car seat as your child grows. The front swivel wheels allow the journey to glide easily over smooth surfaces making it easy to manoeuvre and when pushing on bumpy pavements or over rougher ground the wheels can then be locked into a fixed position to make steering the pushchair simple. A height adjustable handle allows it to be comfortably pushed by parents of different heights. 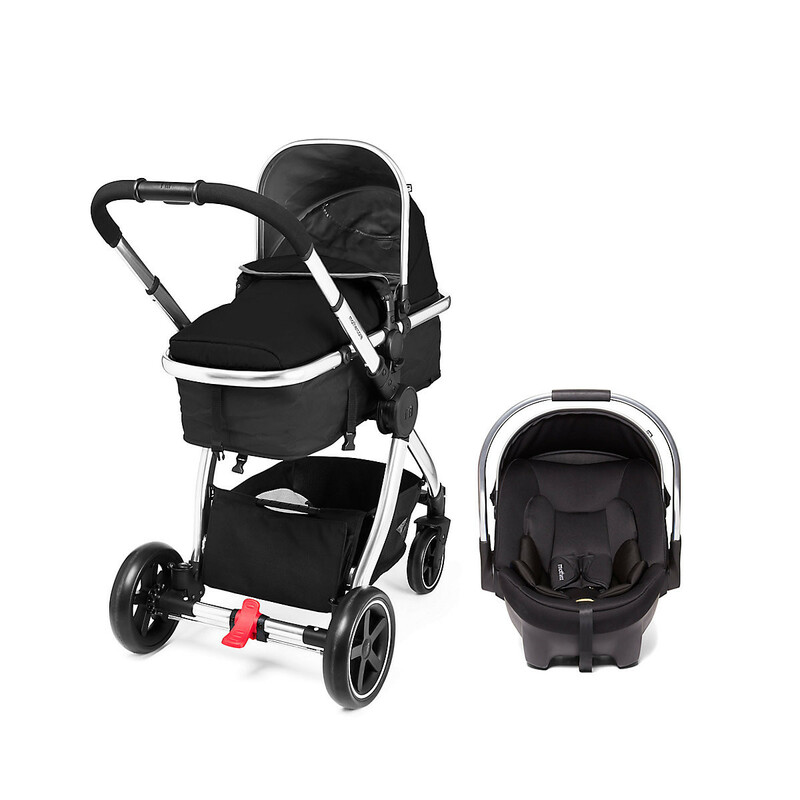 The mothercare journey is free standing and small in size when folded and the removable wheels provide the option of freeing up even more space.